Community Initiatives works with projects with diverse funding streams including foundation grants, events, corporate sponsorships, government grants, email solicitations, and even raffles. Hear about their experiences with Community Initiatives. Our collective impact is incredibly broad, though each project is unique in its goals. Get to know our rich community. Active Voice Lab is a nonprofit network of seasoned strategists that helps funders, advocates, media makers, and other leaders use story to advance social change. Social change becomes possible when policy experts, philanthropists, researchers, organizers, social entrepreneurs, and “creatives” work together. 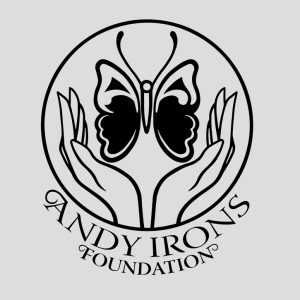 The Andy Irons Foundation celebrates the legacy of surfing legend Andy Irons through vital and innovative programs that alleviate mental illness, substance abuse, and learning disabilities among our youth — creating healthy, uplifted and supported communities. Arthur H. Coleman Community Health Foundation helps eliminate health disparities in the Bayview Hunters Point neighborhood of San Francisco by providing free programs in health education, healthful lifestyle support, and chronic disease prevention and management to all community members in need. The mission of Attendance Works is to advance student success by reducing chronic absence. They do this by building public awareness and political will about the need to address chronic absence, fostering state campaigns and partnerships, and encouraging local practice by providing technical assistance and tools to help communities. 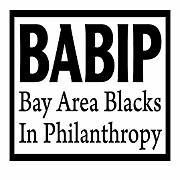 Bay Area Blacks in Philanthropy (BABIP) is a regional, nonprofit membership organization whose mission is to advance the interests of African Americans in philanthropy and address the impact of racial disparity within philanthropic institutions and African American communities in the San Francisco Bay Area. The Bay Area Disc Association strengthens the Ultimate community by creating opportunities for youth, club, and adult recreational athletes to interact, develop, and compete. We foster positive playing and learning experiences and embrace the spirit of the game in all aspects of our work and play. 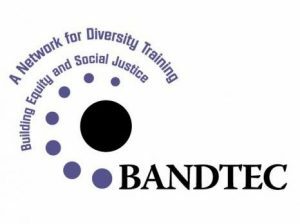 BANDTEC’s mission is to promote the creation of an equitable society for children and their families by providing a continuum of professional development and leadership in diversity issues among early education and care providers. Big Cat Sanctuary Alliance works to eliminate private ownership and the commercial exploitation of wild cats in the United States. Their goal is achieving the day when sanctuaries are no longer needed because the ownership and commercial exploitation of wild cats have been eliminated. Breaking Barriers is a collaborative of experts from across systems that have come together to advance the social, emotional, and behavioral wellbeing of California’s children and youth through a range of efforts to improve access to services, facilitate innovation, and align the state’s resources around the needs of children. The Business Council on Climate Change (BC3) is a partnership of San Francisco Bay Area businesses collectively committed to reducing their contribution to global climate change through the BC3’s “Principles on Climate Leadership.” BC3 members collaborate to identify valuable tools and establish best practices. The Butler Koshland Fellowships identifies extraordinary leaders to mentor the next generation of public service leaders. By directly investing in the individuals who have the greatest potential to influence others, the organization accelerates the pace of positive social change. 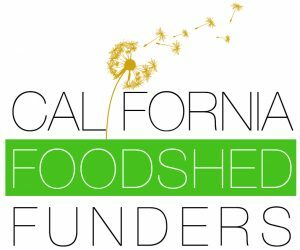 California Foodshed Funders is a peer-to-peer staff development organization of funders that are dedicated to accelerating the shift toward regenerative organic farming practices and sustainably-minded and just food systems. The CA Child Welfare Co-Investment Partnership addresses complex problems at a macro level, pursues selected new opportunities, and helps to improve outcomes in the child welfare system through smart, strategic cross-sector collaboration. The Carpentries is building community teaching core computational and data skills for efficient, shareable and reproducible research. They accomplish this by running accessible, inclusive training workshops; teaching openly available, high-quality, domain-tailored lessons; and fostering an active, inclusive, diverse instructor community that promotes and models reproducible research as a community norm. 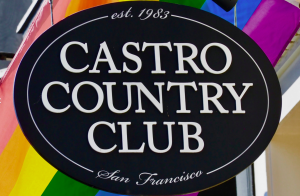 The Castro Country Club is a clean & sober gathering place for all people and a home for the queer recovery community. They endeavor to be a space where all can seek wisdom, serenity, courage and joy. CEDIB’s main objective is that information contributes to increase citizenship and, thus, strengthening democracy, peace culture and sustainable development on a long term. They consider information to be a Human Right and work to make it available to everyone. The Center for Engaged Scholarship was created by and for social scientists who want the United States to be a more democratic, more egalitarian, and more environmentally sustainable society. The Center’s first initiative is a dissertation fellowship for social science Ph.D. students who exemplify engaged scholarship. CRTWC’s mission is to enhance the capacity of schools to meet the needs of children and their educators by integrating social, emotional, and cultural competencies into teacher preparation and on-going professional development. 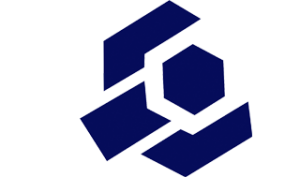 The Center for Strategic Community Innovation (CSCI) is a nonprofit intermediary that provides planning and capacity building services to support nonprofits and public agencies in fulfilling their missions. CSCI specializes in identifying, testing and applying best practice methods at the intersection of service systems. 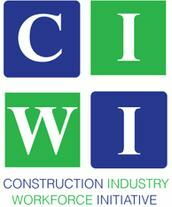 The Construction Industry Workforce Initiative (CIWI) is a partnership of private sector construction and real estate development companies committed to expanding opportunities and enhancing the diversity of the construction industry workforce. Craigslist founder Craig Newmark launched craigconnects in 2011, which he says is a long-term initiative to “connect and protect organizations that are doing good stuff”. Newmark has said that craigconnects is “the biggest thing” of his life, and that he’s committing 20 years to the project, which will initially focus on non-profits and public service organizations that “get stuff done on a sustainable basis”. Dalai Lama Fellows is a San Francisco-based educational and social-action initiative that cultivates and supports a movement of next-generation leaders applying universal values to solve global challenges. DLF is secular, independent, ecumenical and global. Through 2018 we will have selected more than 150 Fellows from 40 nations, with more than half the Fellows women. The Democracy Center is based in Bolivia and works globally to advance social and environmental justice through a combination of investigation and reporting, training citizens in the art of public advocacy, and supporting and organizing international citizen campaigns. 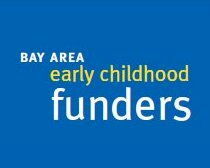 Early Childhood Funders is an association of Bay Area foundations, public funders and private donors, seeking to enhance grantmaking effectiveness by providing an opportunity to share information, engage in dialogue, and participate in activities to improve the lives of children and their families. 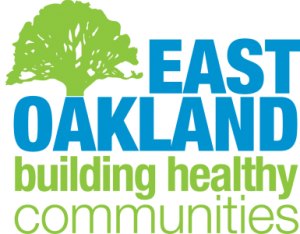 In five years, East Oakland Building Healthy Communities wants kids in the community to be able to run, walk and play in safe neighborhoods, and to have access to good schools, healthy food and medical care. El/La Para TransLatinas fights for the rights of translatinas. It works to build a world where translatinas feel they deserve to protect, love and develop themselves. By building this base, they support each other in protecting themselves against violence, abuse and illness. 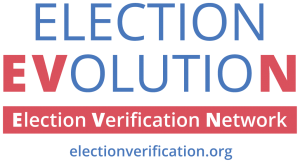 Election Verification Network (EVN) is a robust national network of leaders, experts and policy makers working together to improve U.S. elections. We collaborate across disciplines and opinions toward two inseparable goals: voting is accessible, private, reliable and secure; and elections are transparent, accurate and verifiable. Every veteran provides much-needed housing, job training and life skills so that at-risk veterans can successfully transition back into the workforce. Their intervention housing program ensures that struggling veterans receive the job training and social support they need to get a job, keep a job and rebuild their lives. The Expanded Learning Collaborative (formerly San Francisco Afterschool for All) aims to create a citywide afterschool system that addresses challenges and fosters collaboration to achieve a central goal: providing quality afterschool programs for all K-12 children. Friends of SF Environment is the non-profit ally of the San Francisco Department of Environment. The organization exists to expand the outreach capabilities and revenue sources of SF Environment in order to help make San Francisco the greenest city on Earth. The FruitGuys Community Fund provides grants to small farms and agricultural nonprofits for sustainability projects that have large, positive impacts on the environment, local food systems, and farm diversity. The Fund’s mission is to support small farms in their efforts for greater environmental and economic health, community engagement, and advocacy that supports sustainable agriculture. 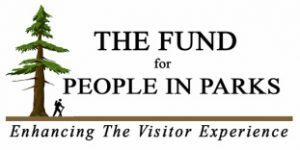 The Fund for People in Parks provides private funding and resources to complete inspirational projects that directly benefit visitors in western National Parks. The Fund continues the long-standing tradition of private philanthropy for National Parks and concern for the visitor that was at the heart of the founding and growth of the National Park system. Genesis Healing Institute’s mission is to nourish and amplify healing ecosystems within communities directly impacted by systemic, historical, and institutional violence in the United States. Get Screened Oakland is a public-private partnership in public health – a citywide, strategic response to Oakland’s HIV epidemic. The partnership is designed to increase the number of Oakland residents who know their HIV status and are connected to care if needed. 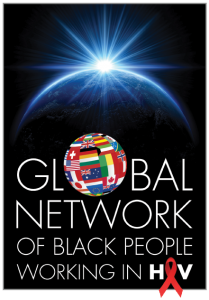 GNBPH’s mission is to support black people worldwide working in the field of HIV to build an effective global response to HIV and AIDS. GNBPH is dedicated to strengthening the global response to HIV through provision of culturally competent peer-based support, education and training services. 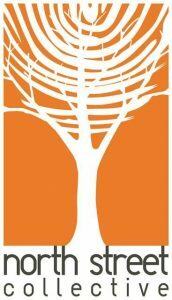 GroundWork is a nonprofit, nonpartisan advocacy organization that advances quality early learning and development as the most transformative strategy to improve school outcomes, increase the life-long success of Ohio’s children, and lay a strong foundation for economic prosperity in the state. Many of the students at Bayside/MLK School in Marin City, CA have never seen snow or traveled outside of California, and most of them live in subsidized housing and receive free school lunches. These middle schoolers are headed to Tamalpais High School and will soon be in a high school environment with kids who have been afforded many more life-enriching experiences. Growth Circles was formed at the school to inspire MLK/Bayside’s 6th-8th graders to think bigger and achieve more. The Harmony Project Bay Area’s primary goals are to improve students’ overall skills for academic and life success, and give them the experience of belonging to a meaningful community. These efforts greatly enhance the limited music education available at public schools where the project operates. 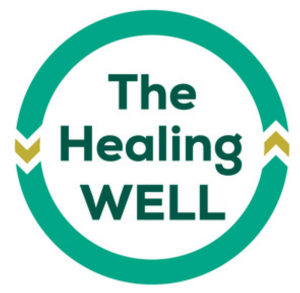 The Healing WELL: Wellness, Empowerment, Liberation and Love promotes healing and recovery for homeless and marginally-housed adults through the offering of holistic healing classes, focusing on stress reduction, healthy eating and fitness, personal development and social support. Weekly volunteer-led classes include sessions like yoga, meditation, poetry, and substance abuse support groups. The basis of HGP is protecting children from trauma to reduce the impact of stress on their cognitive, emotional and long term health. HGP’s 5 Protective Factors are taught to the community and parents. Peer to Peer workers called “Community Health Leaders” lead parent-child activities that allow families to experience the Protective Factors in action. Help a Mother Out works to improve baby and family well being by increasing access to diapers for families in need. The organization distributes diapers to families in need through a network of social service partners including voluntary home visiting programs, facilitated parent support groups, family resource centers, and public health departments. 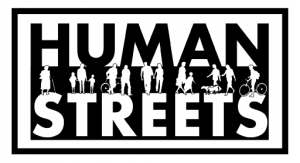 Human Streets is a daily news site for safe streets issues in San Francisco. Human Streets promotes more activism and more advocacy journalism with the goal of achieving zero deaths on city streets by 2024, the goal known as Vision Zero. Immigrants Rising transforms individuals and fuels broader changes. With resources and support, undocumented young people are able to get an education, pursue careers, and build a brighter future for themselves and their community. The mission of the Innovation Center for Community and Youth Development is to unleash the potential of youth, adults, organizations, and communities to engage together in creating a just and equitable society. The Center equips community-based organizations with the skills, tools, and values to engage young people as equal partners in social change and networks them with peers, funders, and academics. 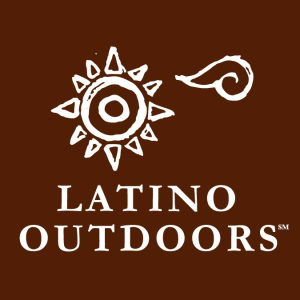 Latino Outdoors brings cultura into the outdoor narrative and connects Latino familias and youth with nature and outdoor experiences. By doing so, Latino Outdoors inspires Latino leadership and empowers communities to explore and share their stories in defining the Latino Outdoors identity. Leadership Learning Community strives to advance a more just and equitable society by transforming the way leadership development work is conceived, conducted and evaluated. Promoting leadership as a process that is more inclusive, networked and collective will have a greater impact in advancing equity. Mass STEM Hub Industry Partner Program works to support premier STEM programs that engage students and prepare them for college and ultimately 21st century careers. Ths program recruits industry partners to sponsor events, volunteer at participating schools, and provide other learning opportunities for students and teachers to authentically engage with professionals working in the STEM disciplines. Memory Care hosts weekly activity and social gatherings for seniors with cognitive impairment/Alzheimers/other dementias and their care partners. Memory Care aims to support care partners and educate the community with the goal of reducing stigma and improving ‘forgetfulness-friendly’ practices on Main Street. 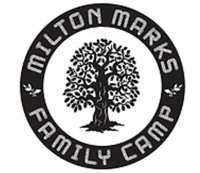 The Milton Marks Neuro-Oncology Family Camp represents an unprecedented effort to address the needs of brain tumor patients and their families that reach beyond medical therapy. The three day camp provides respite, joy and community to families coping with a parent’s brain tumor. Mission Science Workshop is committed to enriching the educational experience of low-income and historically underserved youth. Through science, students can acquire a more intimate understanding of the world around them. The National Viral Hepatitis Roundtable is a broad coalition working to fight, and ultimately end, the hepatitis B and hepatitis C epidemics. The organization seeks an aggressive response from policymakers, public health officials, medical and health care providers, the media, and the general public through advocacy, education, and technical assistance. ​​​​​​A collaboration with Netroots Foundation, New Media Mentors is an intensive learning and capacity-building opportunity to help progressive non-profits use social media and online organizing tools effectively. 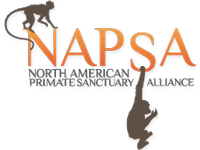 North American Primate Sanctuary Alliance (NAPSA) is a continent-wide consortium of sanctuaries that advocate on behalf of captive primates and provide lifelong homes to primates who have been retired from biomedical research, the entertainment industry, and private ownership. The North Street Collective, located in the Mendocino County town of Willits, gives artists and creative thinkers of every age the time, space, and support to do their work and contribute in meaningful ways to the local community. 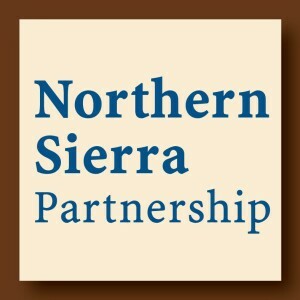 Northern Sierra Partnership is a collaborative of five organizations to conserve, restore and expand public access to the natural landscapes of the northern Sierra Nevada. Working to raise private funding for conservation in the region, the group is working towards their goals and going strong. The Nursing Education Heritage Projects supports the education of nurses and the advancement of the profession through scholarships and educational activities. 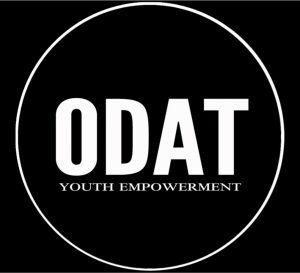 One Day At a Time (ODAT)’s goal is to provide youth with a supportive network of peers, opportunities for academic and personal growth and exposure to positive transformative experiences. By enhancing education and leadership skills, providing guidance and developing trusting relationships, they empower our youth with the confidence and life skills to make better choices and lead positive lives. The Our Children Our Families Council was created when the voters of San Francisco passed “Proposition C” in November 2014. The proposition created the Council to align efforts across the city and county, the school district, and the community with the aim of improving outcomes for children, youth and families. Palomacy saves homeless domestic pigeons and doves in the San Francisco Bay Area from euthanasia by providing veterinary care, foster and forever homes. Before the organization started, hundreds of domestic (unreleasable) pigeons and doves were routinely euthanized in animal shelters. The Parent Advisory Council (PAC) was established by the San Francisco Board of Education as a formal mechanism for parents to participate in shaping education policy, by building a partnership for student achievement between parents, the Board of Education, and school district staff. Project Grace organizes unique international service trips for the bereaved. Participants — grieving mothers, fathers, spouses, families and friends — come together in a supportive environment for the purpose of honoring their loved one while providing service to a community in need. 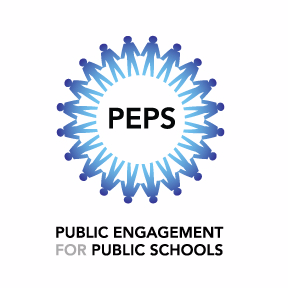 Public Engagement for Public Schools (PEPS) believes that public education is foundational to democracy and that broad based public support is essential to a healthy public school system. PEPS provides opportunities for San Franciscans to support public schools with our hearts, minds, money and votes. The technology revolution offers unparalleled opportunities for journalists to transform media into powerful tools that advance equity, give voice to the voiceless, illuminate injustice, and move people to action. 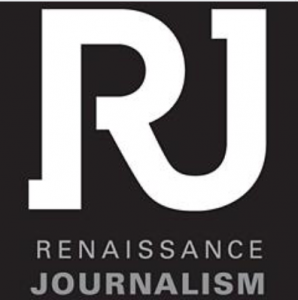 Renaissance Journalism experiments with bold, fresh approaches to news and storytelling and pushes journalists to produce work that makes a difference. RENEW is a nonprofit that helps individuals in groups rekindle motivation, restore energy, and move ahead. RENEW provides opportunities for people to work together to analyze circumstances and develop approaches and solutions so they can work and live with more focus, resilience, and even joy. RJOY works to interrupt tragic cycles of incarceration, violence, unsafe schools and communities, and wasted lives by promoting a cultural shift toward restorative responses to harm. We actively engage youth, their victims, and their families, schools, and communities in a shared search for ways to repair relationships. 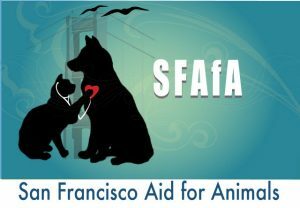 San Francisco Aid for Animals seeks to provide charitable veterinary services currently unavailable to pet owners in the community and to serve as a safety net for clients who may not qualify for assistance elsewhere. The mission of the San Francisco Dyke March is to bring the dyke community together to celebrate unity, raise consciousness and be visible. Strengthening an international perspective in the community, the rally and march advocates justice for all dykes around the world. 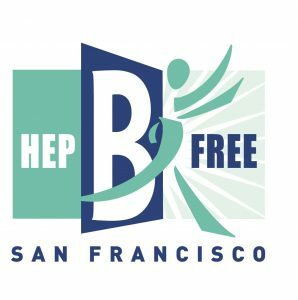 The San Francisco Hep B Free- Bay Area campaign is a collaboration of over thirty diverse public and private interests working together to eliminate the transmission of hepatitis B, with a special emphasis on the Asian and Pacific Islander populations who bear a disproportionate rate of chronic hepatitis B infection. 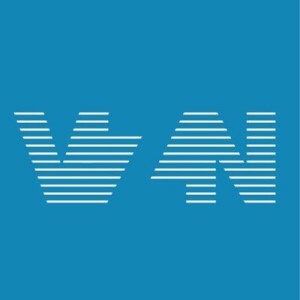 The San Francisco Human Services Network (HSN) is an association about 80 community-based nonprofit agencies united into a public-policy organization dedicated to addressing issues critical to the health and human services sector of San Francisco. Peer Resources creates just change in our schools and communities through the leadership of young people supporting, training, and advocating for each other. Our goals are to empower youth as agents of change, and transform schools into youth empowerment institutions. SFUSD focuses on providing all students access to fresh, healthy meals that enable them to concentrate in class and perform at their highest academic capabilities. The Future Dining Experience program is student-centered and provides an experience where all students feel valued. South Kern Sol (SKS) is a youth-led journalism organization located in Bakersfield, California. SKS is engendering a new generation of youth leaders and communicators engaged with the issues closest to them and their communities. SKS’s storytellers are making health happen in underserved communities in Kern by engaging in conversations with decision makers and questioning systems and policies that are oppressing communities of color. The St. George Island project supports a community-driven effort in the U.S. Bering Sea to conserve the highly productive marine environment surrounding St. George Island, while advancing the St. George community’s long-term sustainable development. Startup Policy Lab works at the intersection of technology and government, with a mission to promote innovative, open, and data-driven policymaking. The group organizes forums to inform, education, and empower those that want to craft public policy to support those goals. Teachers 4 Social Justice is a grassroots non-profit teacher support and development organization. T4SJ educates and organizes teachers and community-based educators, and implements programs and projects aimed at developing empowering learning environments. 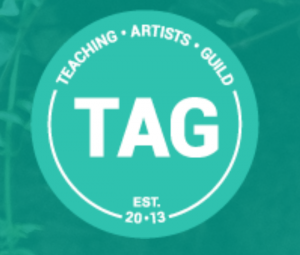 Teaching Artists Guild (TAG) serves the professional needs of teaching artists and community artists by providing professional development, convenings, jobs information, community networking, and advocacy for the important role of teaching artists in both school and community settings. Technology for Social Impact uses technology and software development to optimize effectiveness in designing and executing student success strategies. 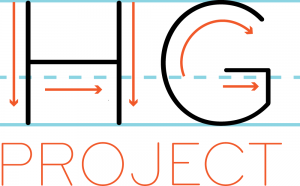 Transgender Strategy Center addresses gaps in the transgender leadership pipeline; provides capacity building for transgender-led coalitions and organizations; and develops and pilots of innovative strategic communications, community support, education and advocacy models. The Vision Zero Network is a collaborative campaign committed to helping communities reach their goal of Vision Zero — eliminating all traffic fatalities and severe injuries – in order to ensure safe, healthy, equitable mobility for all. 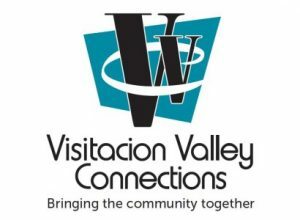 Visitacion Valley Connections is the catalyst to build connections between businesses, residents and service-providers that brings resources to support positive growth for the entire Visitacion Valley Community. 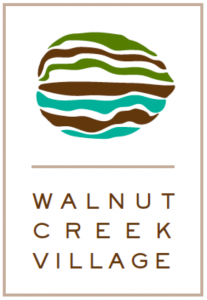 Walnut Creek Village is a member-supported, non-profit, community-based network that provides independent living resources and referrals for the evolving needs of our older neighbors who choose to “age in place” in their homes, instead of moving to a retirement residential community. Witness to Guantanamo gives voice to former detainees and others who have witnessed the impact of the Guantanamo Bay detention center. 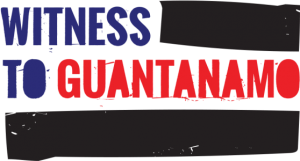 The organization offers compelling stories to promote public dialogue, foster a shared humanity, and inspire future generations to never again repeat the mistakes of Guantanamo. Women in Security and Privacy (WISP) promotes the development, advancement, and inclusion of women in Security and Privacy through education, mentoring, networking, career advancement, thought leadership, and independent research. Zoo Labs is a creative incubator for entrepreneurs in music, art and technology. Building on the insight that musicians and artists face many of the same challenges as entrepreneurs in the startup world, Zoo Labs fosters a space of mutual transformation, where artists and entrepreneurs learn from each other.